I’ve been reading Neil Gaiman’s stuff since I discovered The Sandman back in the 1990s, while I was working in a comic book store. Although I haven’t read everything he’s written, I’ve read a lot of it. I was ridiculously excited when it was first announced that he was going to write an episode of Doctor Who and I quickly jumped online to buy tickets when he was speaking at the Athenaeum Theatre back in 2011. I think it’s fair to say that I’m a bit of a Neil Gaiman fan. So how do I deal with the fact that I didn’t care for Fortunately, The Milk…? I wanted to like it. I wanted to like it, so much — as I always want to like what Gaiman writes. 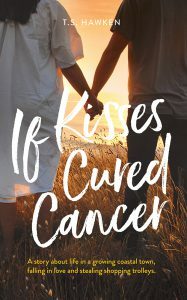 But it just didn’t work for me — at least not on the level of The Graveyard Book (see: “Gaiman’s Graveyard Book”) or Chu’s Days (see: “Neil Gaiman’s sneezy picture book”), both of which I adored. Fortunately, The Milk… was kinda cute. But I also found it predictable in its somewhat forced unpredictableness (if that makes any sense). But my opinions of Fortunately, The Milk… are irrelevant. After all, I’m sure Gaiman doesn’t care. And it’s not as if my opinion will have any bearing on whether other people purchase it and like it. What’s important here is how my opinion of Fortunately, The Milk… affects ME! 😉 Does it nullify my Neil Gaiman fan status? Should I now avoid future Gaiman books on the off chance I don’t care for them? After the initial shock of my reaction to Fortunately, The Milk…, I did eventually calm down and try to look at things with reason. After thinking about it a little, I realised that this has happened before. I LOVED the episode that Gaiman wrote for Series 6 of Doctor Who, “The Doctor’s Wife” (See: “Gaiman and the Doctor“). I loved it so much that I immediately started hoping he would write another. And he did. For Series 7 he wrote “Nightmare in Silver”. I was so excited. I expected to love it. Instead, I was massively underwhelmed. For a while there I thought that Gaiman maybe only had one good Doctor Who story in him. But then I read 11 Doctors, 11 Stories, the Doctor Who 50th Anniversary story collection. In it was Gaiman’s “Nothing O’Clock”… and it was brilliant! So, having reminded myself of this incident, I decided not to give up on Neil Gaiman as a writer — and, more importantly, on myself as a Gaiman fan. 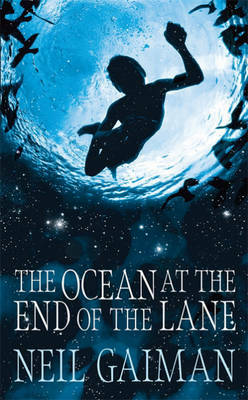 I picked up my copy of The Ocean at the End of the Lane, which had been sitting on my must-read-soon pile for way too long, and I read it. And I loved it! The story was small and personal, dealing with one man’s memories of a forgotten childhood incident, and yet it was also on a grand scale —mythic and epic. 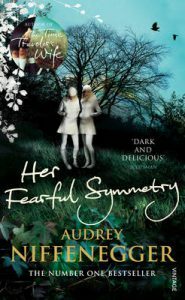 The characterisation was believable, the setting tangible and the memories vivid. I felt like I was there. I was immersed in this literary ocean. I am so pleased that I read it. So, folks, what did I learn from all of this? 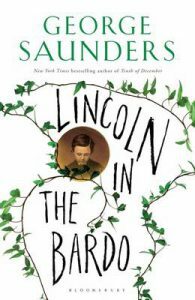 If one of my favourite authors occasionally produces something that I don’t particularly like, it doesn’t mean that all this other writing is suddenly negated. Ergo… I should never dismiss any author just because I didn’t care for one piece of his/her writing. 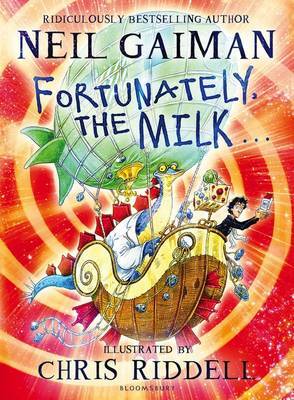 What if Fortunately, The Milk… had been my first experience of Gaiman’s writing? What if I had never picked up another Gaiman book? How much poorer would my literary landscape have been. 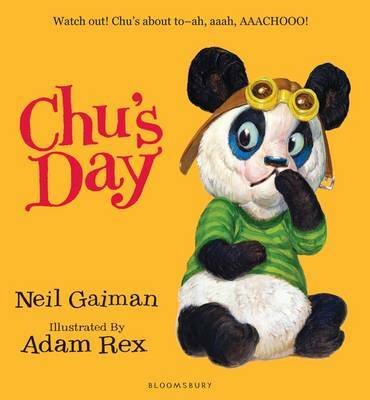 My youngest daughter just got given a copy of Neil Gaiman’s new picture book, Chu’s Day, for her birthday. I loved it so much, that I had to write about it immediately. Neil Gaiman is no stranger to books in which text and graphics combine to tell a story. After all, he made his name writing comics and graphic novels such a Sandman and Books of Magic. 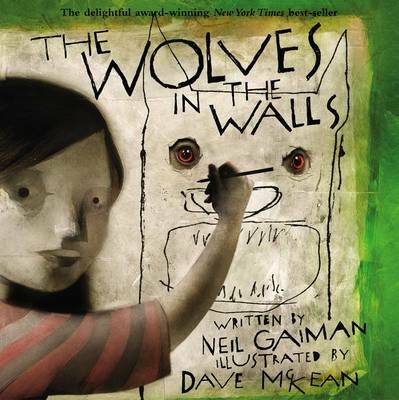 And he’s gone on to write illustrated children’s books such as The Dangerous Alphabet (illustrated by Gris Grimly) and the wonderful The Wolves in the Walls (illustrated by Dave McKean). But I think this must be his first book for much younger kids (please shout me down and correct me in the comments section, if I’m wrong about this). Chu’s Day is a story about a little panda with a big sneeze. And it is a charming book. It is cute; it is clever; it is simple; and is utterly delightful. Gaimen’s text is superb with its play on words and sounds. Chu’s Day sounds like Tuesday, but also alludes to the sound of a sneeze — Aaaachooooooooo! But just as Gaiman knows well how to use words, he also knows how to not use them. So many picture books are overly wordy, with the text and pictures telling the reader exactly the same thing. Not so with this book. Gaiman holds back, allowing the pictures to add to the story — to show the reader things that are not said. Nowhere does the text actually describe the outcome of Chu’s big sneeze — that is all done with the illustrations. This allows preschoolers to discover important elements of the story for themselves (without having to have all the revelations read to them). And the illustrations by Adam Rex are BEAUTIFUL! There is so much to look at on every page. The detail, particularly in the library and the circus, is glorious. You could ignore the words and just stare at these pictures for ages. 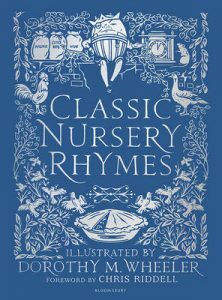 I’m being very effusive about this book, but it is everything a good young children’s picture book should be — engaging text; gorgeous illustrations; and a touch of wit to keep the parents amused. In December last year I went to see Neil Gaiman speaking at the Athenaeum Theatre in a double-bill with Tom Stoppard (see “Stoppard and Gaiman, with a dash of Palmer”). In the week leading up to the event, I realised that I had not read any Gaiman since Whatever Happened to the Caped Crusader? at the end of 2010 (see “Comic Book Adventures”). A whole year without any Gaiman? This had to be rectified! 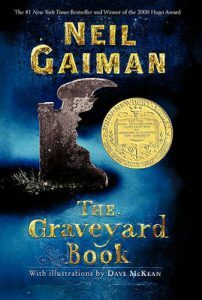 As I looked through my to-be-read pile, I found several Gaiman books, including, to my horror, The Graveyard Book. I had meant to read that book ages ago. At least I now had a good excuse to immediately move it to the top of the pile. 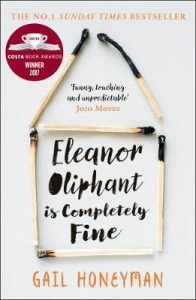 I started reading it the day before the Gaiman/Stoppard event, continued it on the train trip to and from the event, and finished it the day after. 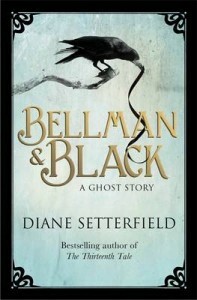 It’s a typical Gaiman book — utterly brilliant. A baby boy narrowly escapes when a mysterious man named Jack murders his family. 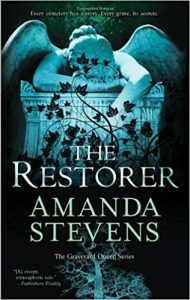 He is adopted by the residents of a graveyard — a ghostly couple becoming his new parents and a vampire named Silas agreeing to be his guardian. Since none of the ghosts are able to leave the graveyard or interact with the physical world, it is Silas’s job to bring food for the boy. His new parents name the boy Nobody, or Bod for short, and he is granted “the Freedom of the Graveyard”, allowing him to see as the ghosts do and to go anywhere within the graveyard regardless of lock and key. As Bod grows up he has adventures within and outside of the graveyard. But during all that time, the mysterious Jack is searching for him, waiting for his chance to finish the job, waiting for the opportunity to kill Bod. 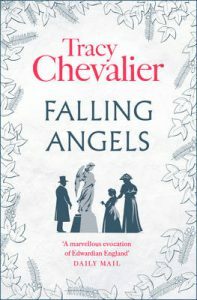 An unusual concept as a starting point — the idea of a human child being raised by ghosts and other supernatural creatures. Fascinating characters. Bod is a believable and likeable child, and we get to see him growing up and learning and developing into a responsible young man. Each and every ghost has his or her own quirks and personality traits, consistent with the eras of death. The murderous Jack is strangely compelling despite being evil. And then you have Silas and his friend, Miss Lupescu. These two are my favourites. The vampire who is never actually referred to as a vampire and the werewolf, who prefers to be called one of the “Hounds of God”. Mythology. If there is one thing that is so very Gaiman, it’s the fact that his work has such mythic (and epic) qualities. From Sandman to American Gods, from his last Batman story to his Doctor Who episode, his tales and soaked in myth. And here in The Graveyard Book, he presents us with such wonderful mythology — the Hounds of God; the order within the graveyards with their hierarchy, their Ghoul-gates and their secrets; the way the dead and the living dance the Macabray when the winter flowers bloom in the graveyard; and the chilling, ages-old secret society, the Jacks of All Trades, to which the murderous Jack belongs. All of this creates such a wonderfully rich backdrop to the story. I know of no other author who handles this stuff with such skill. 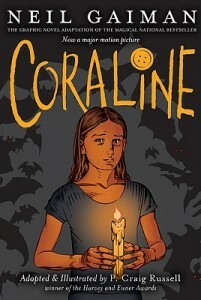 I guess The Graveyard Book is a children’s book, in the same way as Coraline. 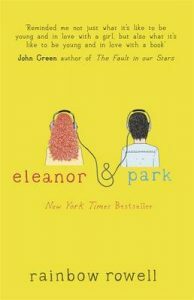 The protagonist is a child, and the storyline is one that is sure to keep children entertained. But like the best of children’s books, it also has much to offer readers of all ages. There are layers in this novel — layers upon layers — waiting to be discovered. 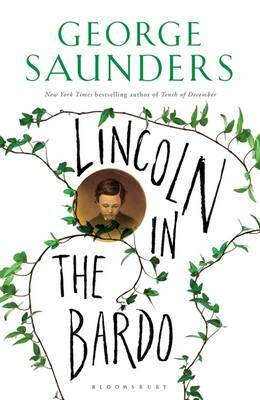 It’s the sort of book that would be good to re-read at different stages of life. I wish this book had been around for me to read as a child. 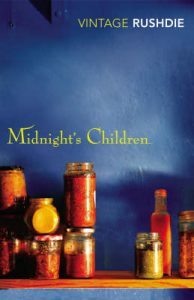 To those who have read it as children, I urge you to keep your copies and re-read them as teenagers, and again as adults. I’m certain you’ll find new things each time. I have the edition that’s been illustrated by Dave McKean. 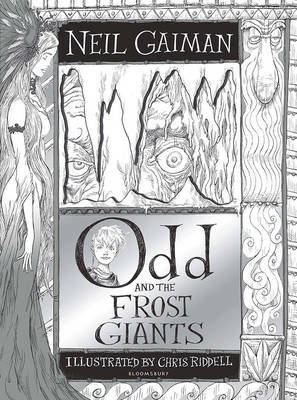 Evocative and sometimes eerily disturbing, these black and white drawings are a perfect accompaniment to Gaiman’s text. No surprise here, as McKean is a long-time collaborator of Gaiman’s. There is another edition with illustrations by Chris Riddell. I’ve only seen the cover illustration from this edition, which is quite different to McKean’s style. I must get a copy so I can compare. I’ve just had another glance at my to-be-read pile. I’m very pleased that there are still some Gaiman books in there that I’ve not yet read. I am so looking forward to discovering them. Stoppard is well known and well respected for his many plays, including Rosencrantz and Guildenstern Are Dead and The Real Inspector Hound. (When I was at drama school, I was always hoping we’d get to perform The Real Inspector Hound as I had a great desire to play the part of Moon, the second-rate theatre critic. Alas, it didn’t happen. 🙁 ) He’s also done a fair bit of script-writing— Shakespeare in Love, Empire of the Sun and Enigma immediately spring to mind. He has also written one novel, a black comedy called Lord Malquist and Mr Moon, which I’ve not read. In fact, I didn’t even know about it until just before going to the show, when I Wikipedia-ed Mr Stoppard. He was interviewed by Alison Croggon, a local writer and critic, who did quite a good job… although she did seem a little disconcerted by his ability to answer more than just the question put to him and she referred to her notes a little too often. Stoppard was an interesting speaker, talking about his past, his writing and his relationship with actors and directors. His story of how he came to work on Indiana Jones and the Last Crusade was particularly amusing. Apparently, when Sean Connery was cast, he insisted that the producers hire Stoppard to re-write his dialogue. And then, when Harrison Ford found out about it, he demanded that Stoppard also re-write his dialogue as well. Fifteen minutes from the end, questions from the audience were taken. This proved to be a mistake, with numerous long-winded questions traversing ground already covered. Then everyone was herded out of the auditorium. 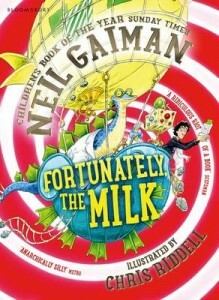 Those who had bought tickets for Neil Gaiman as well, got to remain in the stuffy and fairly small inner foyer. Due to the fact that it was general seating, we all wanted to stay close to the doors to make sure we got good seats. Thankfully, we got a little bit of an impromptu performance while waiting. Gaiman’s wife, singer Amanda Palmer, appeared out of nowhere, climbed up onto the bar and performed “Ukulele Anthem”. This was so cool! I’ve never really taken that much notice of Amanda Palmer before… in fact, I couldn’t name a single song. But after this superb little performance I’m gonna seek out some of her stuff. 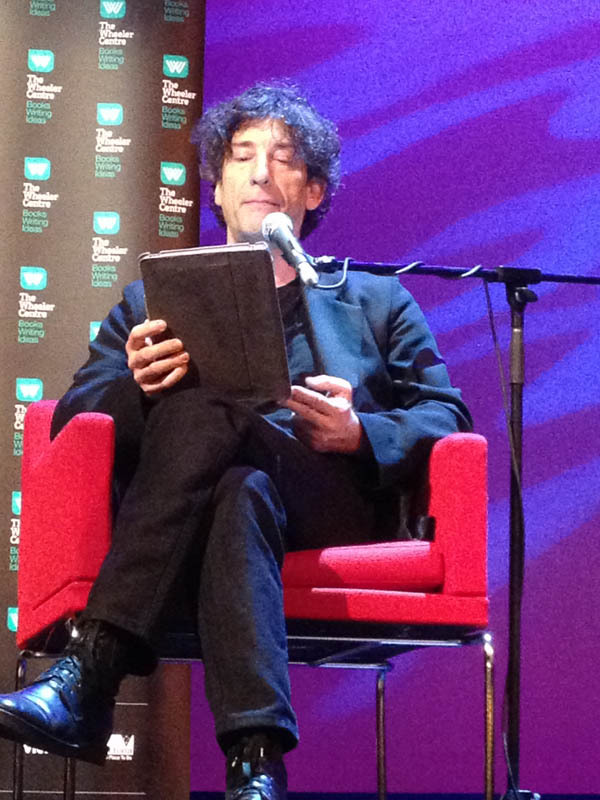 Gaiman was, as always, polished, interesting and utterly brilliant. (Yes, I’ve heard him speak before.) He has this amazing ability to deliver thoughtful, considered answers with an easy, off-the-cuff manner. He was interviewed by Melbourne writer/critic, Clem Bastow, whose style was laid back and conversational and perfectly in tune with Gaiman. It was working really well, until… after fifteen minutes, she announced they would take questions from the audience. [insert gasp of horror] I was fearing a recurrence of what happened with Stoppard, but Gaiman wisely defined for the audience, exactly what a question was, and how it should be delivered with brevity. The definition was greeted with much applause and relief… and it worked! People got to the point and asked short, interesting questions to which Gaiman gave long, interesting answers. During his talk, Gaiman announced that early next year he would begin writing a sequel to American Gods. This seemed to get a lot of people rather excited. He also talked a bit about what it was like writing an episode of Doctor Who, and he finished up by reading his Australia Day poem (which he had previously read at the Opera House gig he did with his wife). All up it was a fantastic night. We are very lucky to have the Wheeler Centre here in Melbourne to organise things like this. The only negative thing was the fact that the event had general seating, resulting in long queues and people jostling for seats. Numbered seating would have been a much more civilised option. I forgot to take my camera with me on the night, but many others were snapping away. Many thanks to Paula McGrath for letting me use her pics on this blog post. Not every author can be as charismatic as Neil Gaiman. 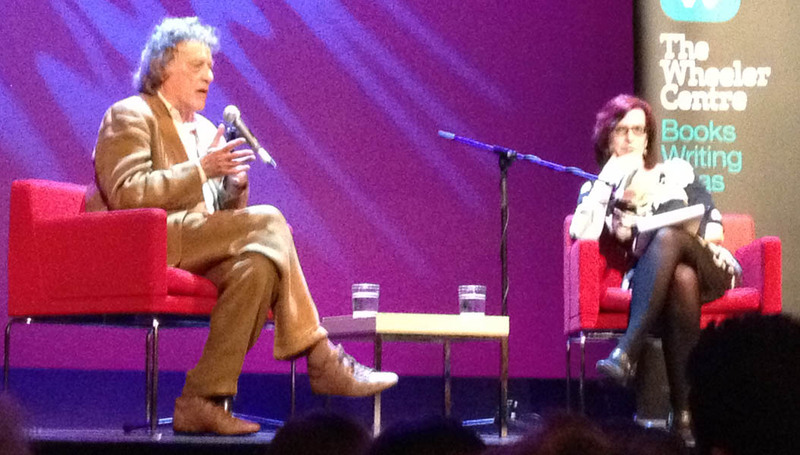 When Mr Gaiman talks, everyone listens… especially when he is reading from his own writings. He has a presence and a real sparkle in his voice. He makes it all look so easy. But, of course, it’s not. Authors are constantly asked to sell their work and to be the public face of their writing — Public appearances, readings, school talks… and even promotional videos. There is a real interest from readers to see the person behind the books they read. But honestly, some authors are better off NOT appearing in the promotional videos for their books. Go to YouTube and search under “author videos”. You’ll find a fair few videos that fall somewhere between not very good and downright embarrassing. You’ll find a few that range from good to excellent. But the vast majority will simply be rather ordinary. The author may speak well, the author may have something interesting to say — but the author fails to truly engage his/her audience. I thought that little bit of humour in the last few seconds of the video was a really nice touch. Humour is a powerful way for a speaker to get the attention of his listeners. Here’s a rather brilliant example of an author video that uses humour. Libba Bray talks about her YA novel, Going Bovine, while dressed as a cow. Very entertaining! Of course, humour is not going to work for every author and every book. So what do you do when you’re promoting a book in which all adults fall victim to a terrible disease that turns them into zombies? Well, in this video, as Charlie Higson tells you about his YA novel The Enemy, he gradually succumbs to the disease. Well acted, nicely directed, with some good make-up effects, this production is a benchmark for author videos. So, does anyone out there have any author videos they would like to share? Something brilliant? Something tragic? Leave a comment. And tune in next time for one more post about videos. Come one, you know you love them! PS. Follow me on Twitter… or I’ll post a video of myself telling you why you should follow me on Twitter. Once upon a time… there was a young man who, upon graduating from University, embarked upon casual employment in a comic book store. He only worked there for a short time, but during that time his eyes were opened to new worlds and endless possibilities. Most importantly, he came to realise that comic books were not just for kids and that superheroes were just the tip of the graphic iceberg. I was never really into comics as a kid. I remember reading the occasional Archie comic and I had a few Aterix comic books, but that was about it. Once I discovered that reading could be fun (around about mid-primary age) I tended to stick to books rather than comics. And as I grew up, I, like so many other misguided souls, looked down my nose at comic books as being ‘kids’ stuff’. So now, I am eternally grateful for having had that brief time in the comic book store. Working there, surrounded by hundreds of comics, I was eventually enticed into flicking through some titles. It was the first time in years that I had read any comic books. It didn’t start off too well. I read a couple of dire superhero titles and was pretty much ready to give up on it all, when the store manager handed me the first of Neil Gaiman’s Sandman collections, Preludes and Nocturnes, assuring me that I would like it. It was complex and grown-up and mythic on a grand scale. It had depth and emotion and enormous imagination. It was beautifully written and stunningly illustrated. It was everything I expected it not to be. Like it? I loved it! Not only did I read it, but I eventually ended up buying all the Sandman collections. From there I moved on to other titles including the Sandman spin-off, Death, Hellblazer (adapted for the silver screen as Constantine), Black Orchid, Books of Magic and the monumental cross-title epic, The Children’s Crusade. And when I realised that not all superhero comics were the same, I even ventured into these more traditional comic book realms — starting with JM DeMatteis’s Superman: Speeding Bullets. This story re-wrote Superman mythology, asking the simple question… What if the capsule from Krypton, with baby Kal-El inside, landed not in Kansas, to be discovered by Mr and Mrs Kent; but on the outskirts of Gotham City, to be discovered by Dr and Mrs Wayne? Cool stuff! In fact, my most recent comic book experience was of the superhero genre — Neil Gaiman’s What Ever Happened to the Caped Crusader?. It is the story of the many deaths and re-births of Batman. As with Sandman, it’s big and bold and mythic. 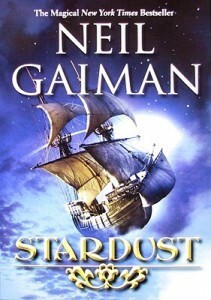 Perhaps not one of Gaiman’s best, but still an entertaining and intriguing read. These days, comic books are often referred to as graphic novels — a term that seems intent on dispelling the comic-books-are-just-for-kids misrepresentation. But whatever you call them, please, please, please, do not dismiss them. If you’ve never read one, I implore you to have a go. They are as diverse as any other form of literature (and yes, I do believe them to be Literature, as well as Art) and if you look around, you are bound to find something that appeals. Tune in next time for a post about rejection. 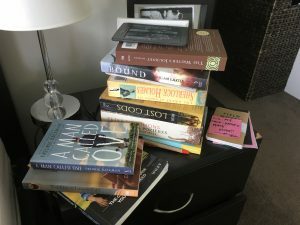 Now before anyone goes banging on the blog door and screaming: “Your choices aren’t literature!”, what I really mean is The Worst Mothers in Fiction. 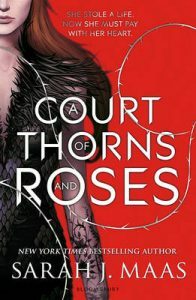 But ‘Fiction’ makes it sound less real, and the interesting thing I find about women portrayed in these books, particularly, is that the characteristics of these evil or amoral mothers must in some way reflect our real fears – otherwise we wouldn’t respond to these books the way we do, right? 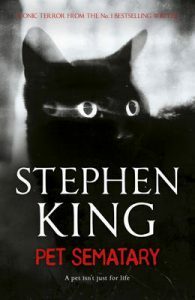 When I was 12 or 13, I chose a book from my mum’s bookshelf that I had been too ‘chicken’ to pick up before, mainly for the ’70s black covers and the innocent wide-eyed beings surrounded by ghostly mists. Flowers in the Attic was my first venture into Virginia Andrews’ crazy, messed-up world of dysfunctional families and I was totally hooked. 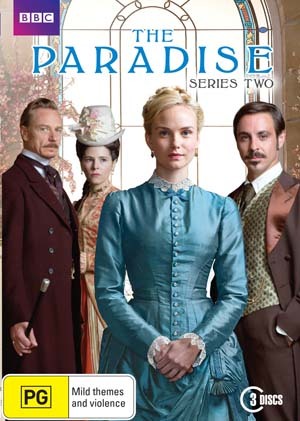 Corinne Dollanganger is my second pick for Worst Mother – a sparkling, blonde, blue-eyed beauty who is the ‘perfect’ maternal figure for her four Dollanganger children to worship. That is, until Daddy dies and the money from the million-dollar mansion is gone. Rather than consider working or asking friends for help, Corinne hotfoots it back to her parent’s multi-million dollar estate with kidlets in tow, a place she vowed never to return to after her own father kicked her out years before. What appears to have turned her desperate mind to returning to the estate is a letter confirming that Corinne’s father is sick doesn’t have much longer to live. 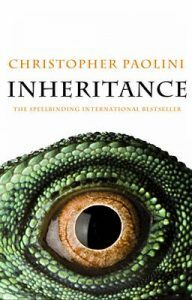 It is only when he dies, that Corinne will receive the inheritance due to her, provided that she doesn’t have any offspring with the man that caused the family feud all those years ago. Of course, Corinne has had four children to this man, so she decides to hide the children in the attic with the help of her incredibly strict mother (the children’s maternal grandmother) and wait for her father to die before they can come out of hiding. Days turn into months, months turn into years, and the ‘Flowers’ in the attic lie wilting and eventually forgotten by their own mother, who has been seduced by the promise of money and the return to the prestigious family fold. Flowers in the Attic haunted me for many years to come, particularly the vision of the children eating the powdered donuts laced with arsenic. It’s why I can’t eat cinnamon donuts to this day. We all love to hate on mothers in literature, it seems! I’m sure there is at least one well-known book out there, however, where the father is the evil-doer. And I intend to find it! I love short stories! I love reading them and I love writing them. So I’m going to take a couple of posts to blather on about them. I’ve read a lot of short stories over the years and there are a few writers who really stand out for me as masters of the form. Neil Gaiman, for instance. Yes, I know, he’s best known for his novels and comics, but it is as a short story writer that I believe he truly excels. “Murder Mysteries”, a story about the angel Raguel, who was “the Vengeance of the Lord”, is one that comes to mind. But my absolute favourite is “Nicholas Was…” — a Christmas story with a difference, that is exactly 100 words long. If you’re able to locate a copy, I’d highly recommend checking out Gaiman’s collection, Smoke and Mirrors. As a writer, one of the things that I love about short stories is that I’m able to dip in to many subjects and many genres. Just look at my three most recently published short stories. “Trees”, published in Short and Scary, edited by Karen Tayleur, is a YA horror about two teens in a forest of vengeful trees. “Feather-light”, published in Belong, edited by Russell B Farr, is a fantasy about a straight guy who falls for a gay angel who has been exiled from exile. “Future Dreaming”, published in Under the Weather: Stories about climate change, edited by Tony Bradman, is a kids’ story about climate change and how the actions of individuals can influence the future. A number of years ago, my wife and I went on a holiday to Egypt. While there, we climbed Mt Sinai and visited St Katherine’s monastery, situated at the foot of the mountain. This visit inspired me to write a science fiction story, called “The Last Monk”, which was published in 2002 in issue 30 of Aurealis – Australian Fantasy & Science Fiction. I’m very happy to say that this magazine, now at issue 42, is still going strong. 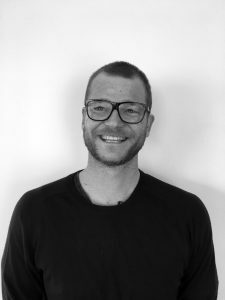 I invited Stuart Mayne, the current editor, to tell us a little about the mag. Aurealis is Australia’s most successful science fiction and fantasy (SF) magazine. When the first issue appeared in September 1990 something began that had never been produced before in Australia: a professional mass market SF magazine. Before Aurealis there were hundreds of thousands of avid SF readers in Australia, but the amount of Australian SF they were reading was miniscule. Aurealis has changed that, and launched dozens of new writers, who have become established writers. Now, most of the major publishers in Australia have a local SF list. In addition, the Aurealis Awards for Excellence in Australian Speculative Fiction were established in 1995 and have become the premier SF awards, highly prized by producers and publishers alike. Aurealis began when Stephen Higgins and Dirk Strasser met in a short story writing class. Stephen and Dirk shared an interest in science fiction and fantasy in the face of a teacher and fellow students who, at best, viewed them with a total lack of comprehension. 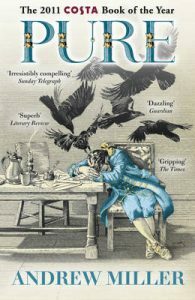 Then, one evening, sitting, around one said, ‘I’ve always wanted to start a science fiction and fantasy magazine’ to which the other replied, ‘Me too.’ That was the moment when Aurealis was born. 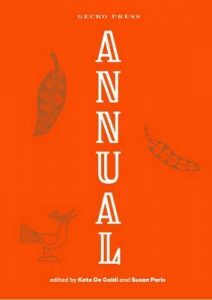 This year Aurealis celebrates a record breaking twenty years of continuous publication: a remarkable contribution to the Australian literary landscape. Aurealis focuses on publishing Australian SF. 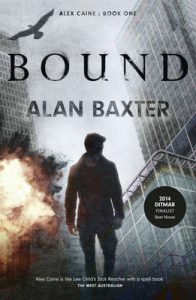 It provides Australian SF writers with a steady, reliable market and continues to play a defining and pivotal role in the promotion and acceptance of Australian science fiction, fantasy and horror. 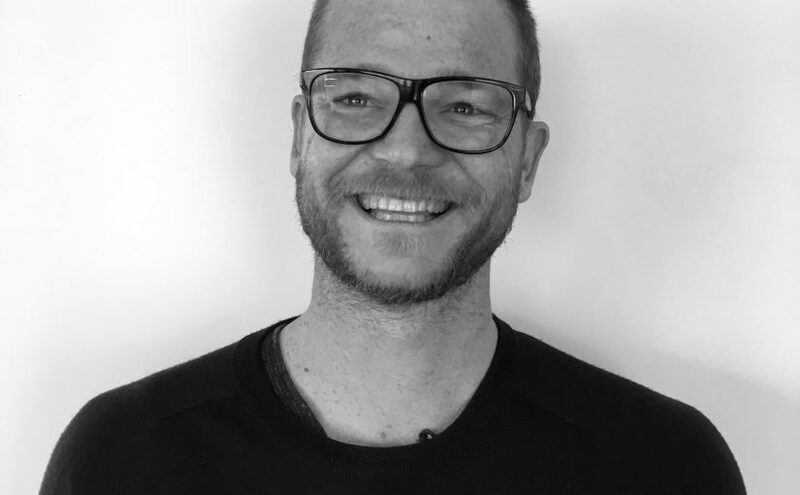 We have kicked off the careers of many bestselling speculative fiction authors, including Michael Pryor, Shaun Tan and our beloved former Art Director, Trudi Canavan. Thanks for stopping by, Stuart. To find out more about Aurealis, and to see their submission guidelines, check out their website. And tune in next time for some more short stories.